My little monkey turned seven months at the beginning of January. She had learned to stand upright at six months, and this month she learned how to cruise. What an advanced baby we thought! We enjoyed the beautiful weather and took loads of walks out. 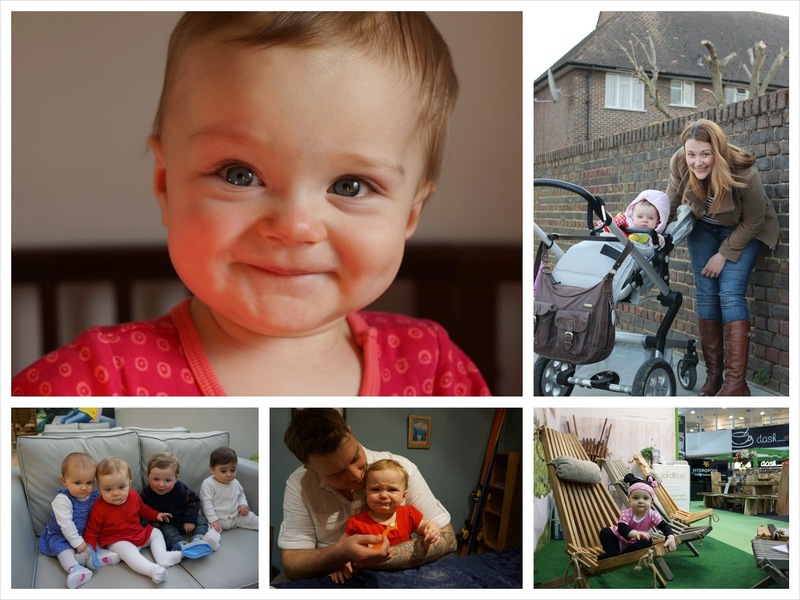 Before Christmas I got two job offers, so at the beginning of January I was pondering which to go for after I would finish my maternity leave. 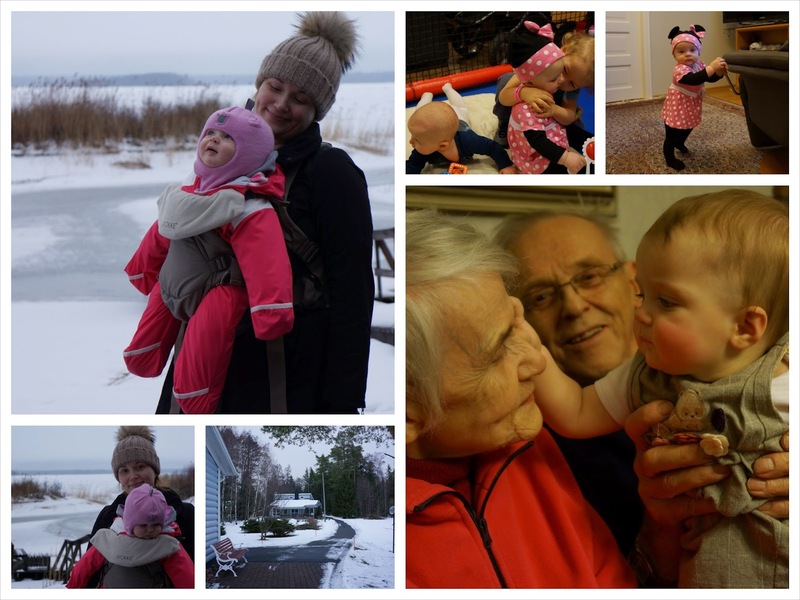 At the end of the month I went to see my family in Finland, and I stayed there for two weeks, so part of February was spent there too. It was cold, and there was lots of snow, and we enjoyed going out for winter walks and seeing family over there. 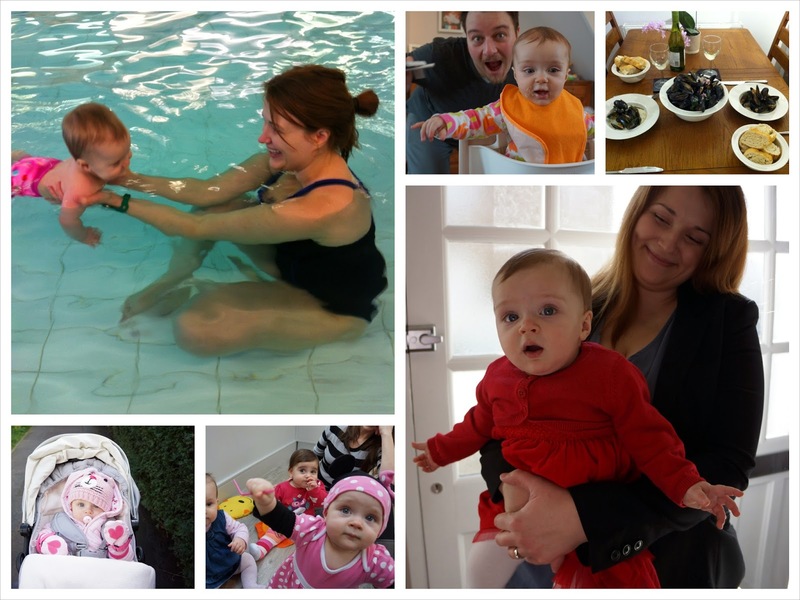 In February we were busy attending baby swimming classes - that was our baby hobby thing. We did Born to Swim classes, and our baby went all the way through to advanced baby course, e.g. the Goldfish course later in the year. In February I think we were still doing the Angelfish course, which is intermediary. It was great fun, and I have recommended their classes to all mummy friends. In addition to baby swimming, on Valentine's Day I cooked us a three course meal. I am not exactly a Nigella in the kitchen, but managed to cook us a lovely meal of bruschetta, moules mariniere, and pannacotta. 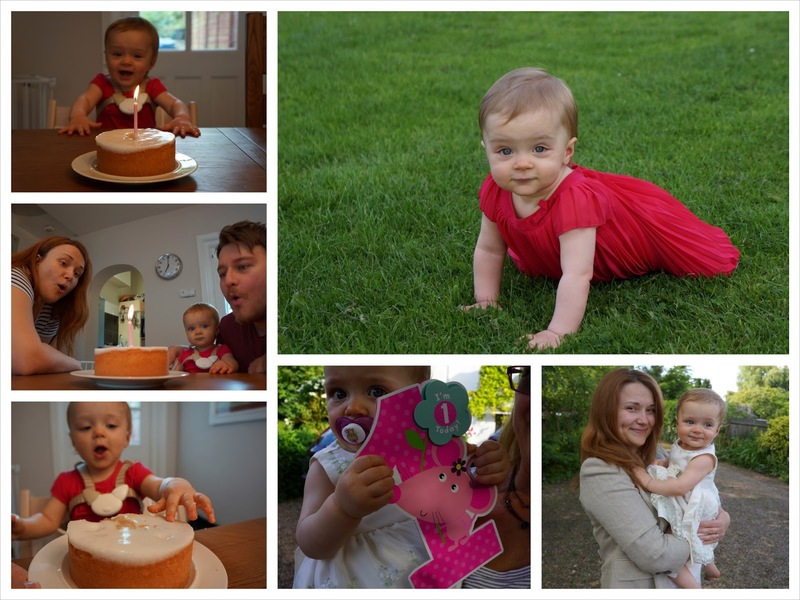 I spent a lot of time meeting other mummy friends, and we went to a christening of one of our NCT group babies. I had decided on the job I'd take in January, and in February I went to meet my new colleagues and have a chat with my line manager. The most important day of the month was of course our my first ever Mother's Day. Apparently our little one chose this orchid for me, by looking at the flowers after my husband asked her what should we get for mummy. 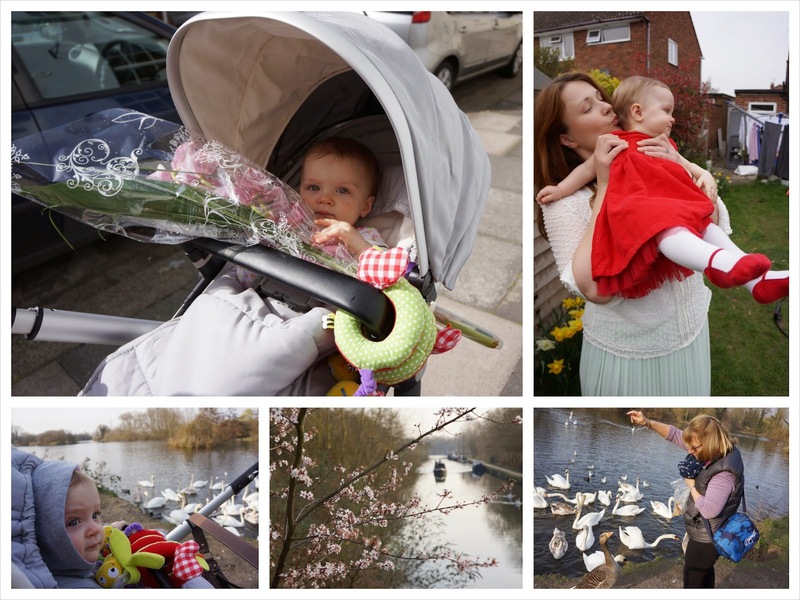 We also had a massive growth of mold in our bedroom, so while the room had to be renovated, I stayed at the in-laws on the countryside and had lots of country walks, checking out the swans and ducks. April time was really busy. We went to see rugby (my first ever rugby match) at Twickenham. 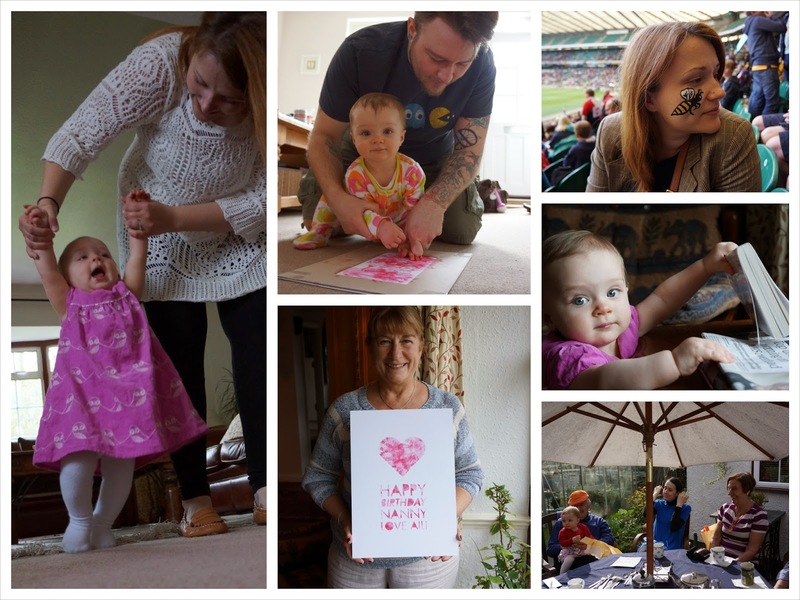 Aili and my husband did a cute little birthday card for Nanny, and some family friends from Spain visited London. 14.4 our baby took her very first steps... And I missed it! (Not to worry, she soon repeated them in front of me). Around Easter time my family from Finland came over to London, and we did the touristy thing, and visited pretty much all the sights in London. We spent a fair bit of time at Greenwich (absolutely beautiful), cruised along Thames and ate at Borough Market. And lots of other things too. 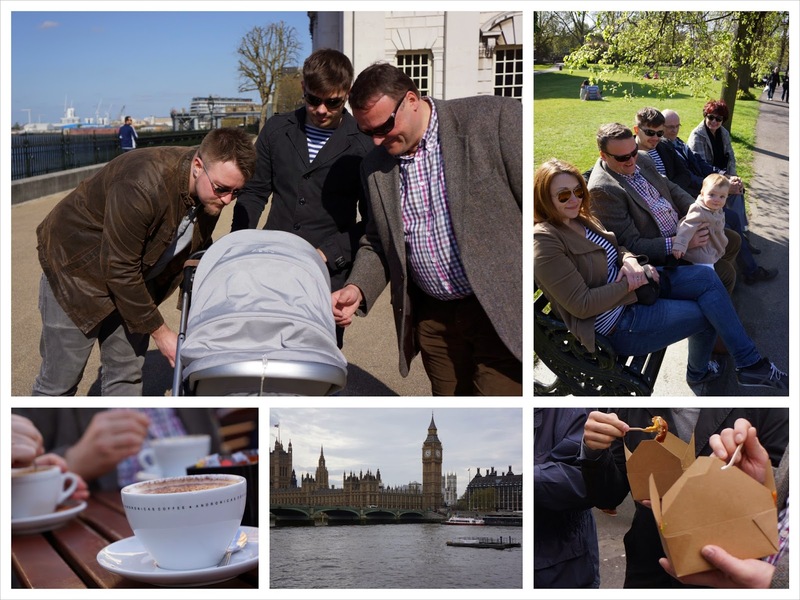 After Easter my I finished my maternity leave and began a new job. After lots of busy months May was quite chilled. 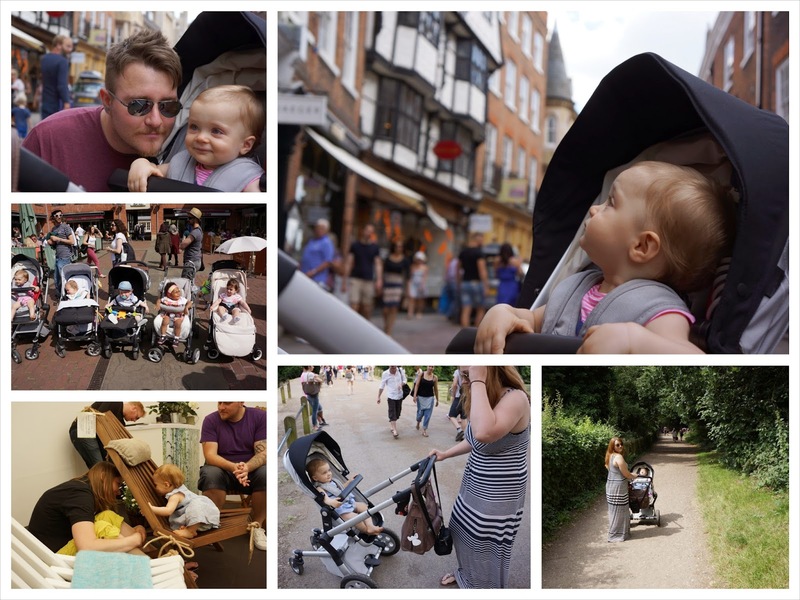 I was mainly at work, and incredibly tired with trying to get accustomed to working again (and in a new place in a new job) and dealing with frequent night-time disturbances (that's what having a baby does to you). On the weekends we tried to do fun stuff. 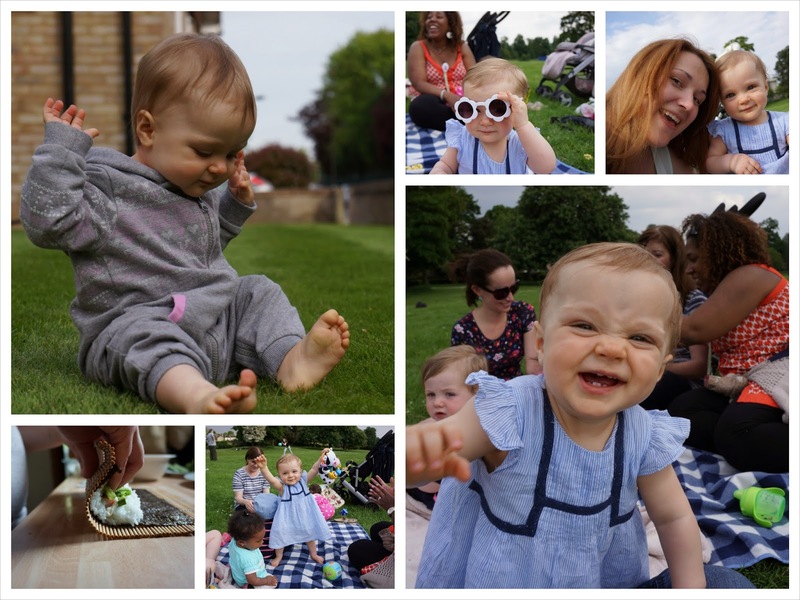 Some of the nice things were a picnic with our NCT buddies, and making sushi. For years I had been promising to make hubby some sushi and use my sushi-rolling skills (I used to work in a Japanese restaurant before we met), and I finally made some. 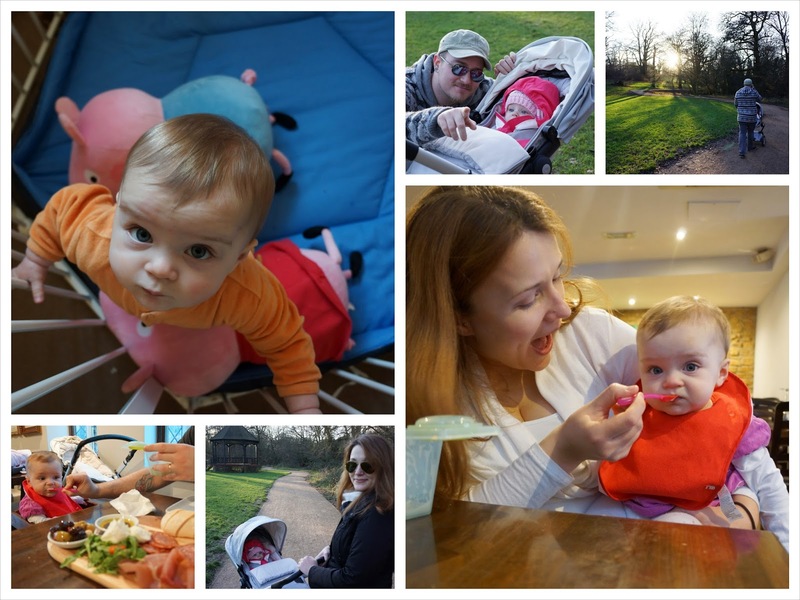 June was a BIG month for us, as our little one turned one year. On the birthday we took some pictures of her in her red birthday dress, and gave her her own cake. She was a bit suspicious at first and it took us trying it before she tasted it. And oh boy, did she like it! On the weekend we had a proper big birthday bash at Nanny's. Thanks so much for linking up too! Finland is a brilliant place to visit - I prefer it in the summer, but winter has it's magical moments too. Definitely worth visiting.